The English word equanimity refers to a state of being calm and balanced, especially in the midst of difficulty. In Buddhism, equanimity (in Pali, upekkha; in Sanskrit, upeksha) is one of the Four Immeasurables or four great virtues (along with compassion, loving kindness, and sympathetic joy) that the Buddha taught his disciples to cultivate. But is being calm and balanced all there is to equanimity? And how does one develop equanimity? Although translated as "equanimity," the precise meaning of upekkha seems hard to pin down. According to Gil Fronsdal, who teaches at the Insight Meditation Center in Redwood City, California, the word upekkha literally means "to look over." However, a Pali/Sanskrit glossary I consulted says it means "not taking notice; to disregard." "It is evenness of mind, unshakeable freedom of mind, a state of inner equipoise that cannot be upset by gain and loss, honor and dishonor, praise and blame, pleasure and pain. Upekkha is freedom from all points of self-reference; it is indifference only to the demands of the ego-self with its craving for pleasure and position, not to the well-being of one's fellow human beings." Gil Fronsdal says the Buddha described upekkha as "abundant, exalted, immeasurable, without hostility and without ill-will." Not the same thing as "indifference," is it? Thich Nhat Hanh says (in The Heart of the Buddha's Teaching, p. 161) that the Sanskrit word upeksha means "equanimity, nonattachment, nondiscrimination, even-mindedness, or letting go. Upa means 'over,' and iksh means 'to look.' You climb the mountain to be able to look over the whole situation, not bound by one side or the other." We also can look to the life of the Buddha for guidance. After his enlightenment, he certainly did not live in a state of indifference. Instead, he spent 45 years actively teaching the dharma to others. For more on this subject, see Why Do Buddhists Avoid Attachment?" and "Why Detachment Is the Wrong Word"
Another Pali word that is usually translated into English as "equanimity" is tatramajjhattata, which means "to stand in the middle." 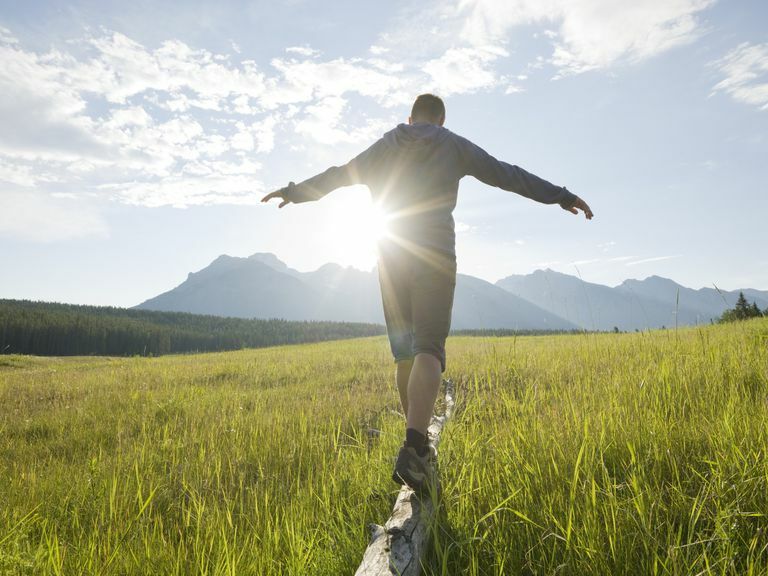 Gil Fronsdal says this "standing in the middle" refers to a balance that comes from inner stability--remaining centered when surrounded by turmoil. The Buddha taught that we are constantly being pulled in one direction or another by things or conditions we either want or hope to avoid. These include praise and blame, pleasure and pain, success and failure, gain and loss. The wise person, the Buddha said, accepts all without approval or disapproval. This forms the core of the " The Middle Way that forms the core of Buddhist practice. In her book Comfortable with Uncertainty, Tibetan Kagyu teacher Pema Chodron said, "To cultivate equanimity we practice catching ourselves when we feel attraction or aversion before it hardens into grasping or negativity." Mindfulness of feelings or sensations (vedanasati). Mindfulness of mind or mental processes (cittasati). Mindfulness of mental objects or qualities; or, mindfulness of dharma (dhammasati). Here, we have a very good example of working with mindfulness of feelings and mental processes. People who are not mindful are perpetually being jerked around by their emotions and biases. But with mindfulness, you recognize and acknowledge feelings without letting them control you. Pema Chodron says that when feelings of attraction or aversion arise, we can "use our biases as stepping-stones for connecting with the confusion of others." When we become intimate with and accepting of our own feelings, we see more clearly how everyone gets hooked by their hopes and fears. From this, "a bigger perspective can emerge." Thich Nhat Hanh says that Buddhist equanimity includes the ability to see everyone as equal. "We shed all discrimination and prejudice, and remove all boundaries between ourselves and others," he writes. "In a conflict, even though we are deeply concerned, we remain impartial, able to love and to understand both sides." [The Heart of the Buddha's Teaching, p. 162].